Maple Holistics is a provider of beauty products; who pride themselves in providing natural, premium homeopathic products. They have many beauty products, for both men and women, available at www.mapleholistics.com. I got a great opportunity to sample their Dead sea mud mask; which is made for: men, women and gentle enough for teens.Â Prior to receiving the mud mask, I browsed a quick description of it, and was pretty surprised at all the skin problems it said to tackle. From balancing oily skin, minimizing pores, healing psoriasis, to removing acne and wrinkles. I was sold! Upon opening the container, you can smell the overpowering scent of sage and lavender. Â The mud mask looks like a grayish – carbon clay, and applying it truly feels like a spa experience. The application process is simple enough; you apply it over a clean and dry face, leave it on until it hardens, then rinse off. This mud mask is one of those that really makes you feel like it’s working, because you get a tingling sensation on your skin while it’s on. It hardens in about 10 minutes or so, and leaves your skin feeling super soft once you wash it off. After my first try, my face felt soft as baby skin, my pores felt less noticeable and my skin felt firmer. I was beyond impressed by this mud mask. Â I tried it again a few days after, and yet again was impressed by how it left my skin feeling. The first time I tried it, I followed the mud mask with a face lotion in case the mask dried out my skin. The second time, I did not apply facial lotion, just to see if it felt dry afterwards. Good to know, it did not! This mud mask seriously leaves your skin feeling so soft, that you will want to use it a couple times a week. So be warned, this stuff is addicting! Here are a few of the ingredients that work together to create a product that delivers results, and also provides an aromatherapy therapeutic experience. Dead sea mud- this ingredient removes toxins, helps tighten skin, and improves blood circulation. Lavender- lavender helps fight acne and heals cuts, and works with the mud’s mineral for better absorption. German chamomile- calms nerves, reduces stress, and helps with insomnia. This is what helps make this mask perfect as a pre-bedtime ritual! Clay sage- this ingredient works with the chamomile to provide an aromatherapy experience. Green myrtle- this essential oil fights against oily skin and is most often skipped in many beauty products due to its high production costs. As you can see, this mud mask has all natural ingredients to help improve and maintain your skin; rather than clog and inhibit with harmful or artificial junk. This is the top reason for recommending Maple Holistics, Â the fact they create quality productsÂ and offer them at affordable prices. They also believe in their products, and have a 100% money back guarantee. 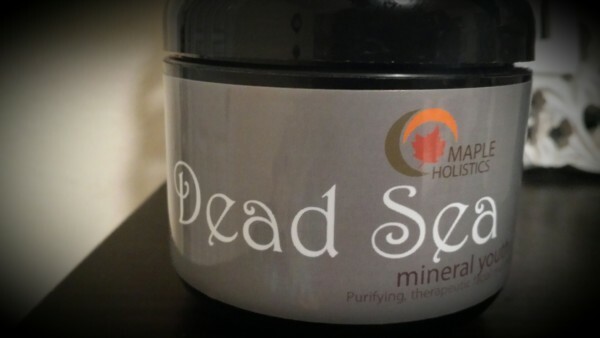 Overall, I am glad I got the opportunity to try out Maple Holistics dead sea mud mask. It Â is perfect for a once a week facial treatment to get and maintain youthful skin, and the fact the feel and scent of the mask deliver a spa-like treatment is an added bonus. I am excited to keep using this product, and highly recommend it. The best part of all is the price, you get a full 9 oz jar of this stuff for $24. Since you only need to apply a thin layer, it will last a few months. ‹ Owl necklaces	› 25 minute yoga workout- Killer ab and total body focus, try it out and save it to your favorites!